Wow. I got to interview TWO blasian beauties this week? (What's up, Nikki?). It must be my birthday. But anyway, I was able to speak with the lovely, Miss Chiney Marie and girl has a lot going on. You can interpret that how you will. They're all true. Essince: First off, Chiney I wanted to say thanks for taking your time out to do this interview with me. Chiney Marie: I'm very honoured and pleased to be interviewed so thank you for the opportunity! Essince: Second, I'm digging your name. I assumed it meant you had some Asian in you. My homegirl is Jamaican and I've heard the term before. Essince: I assume someone as beautiful as you had a lot of guys use "Do you model?" as a pick up line. What made you want to get into modeling? Essince: What are some of your goals with modeling? Chiney Marie: One of my many goals of modeling and the most important one for me is to be able to assist those interested or aspiring to be in this industry. If I have the knowledge I share it with others. One thing that myself and my partner Adam Sweet are working on is providing models, artists, etc with services to boost their presence in the industry. I want to eventually move from in front of the camera to behind. Ess: What are some of your goals in general? Life goals. Ess: Is it true you speak American Sign Language? I used to sign when I was a kid. I lost a lot of it but I can still do the basics. CM: Wow you did your research! Yes I do know American Sign Language...I took the language for about 6 years. I was a little nerd...I was the one doing theatre, creative writing, violin for 6 years lol. I still know the language to this day. It's a great benefit to have! Ess: I know this makes me seem like an ignorant American but I tried to use some sign language to some mute kids in Thailand I did some work with....they had no idea what I signed. lol. I learned some Thai sign, though. Ess: That makes sense….considering it’s called AMERICAN Sign Language. Haha. Just from our conversations you seem like a pretty intelligent, how important is education to you? 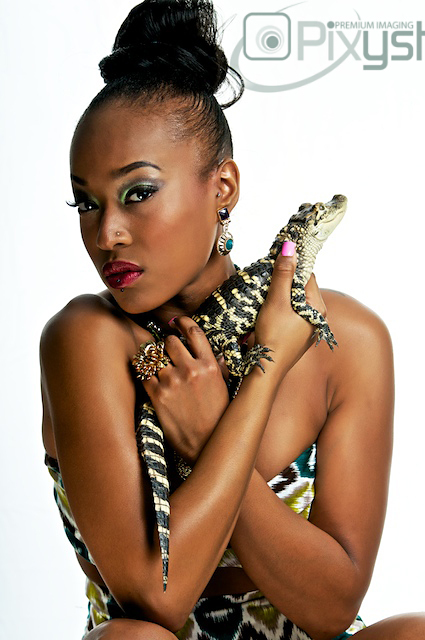 Essince: What can we expect from Chiney Marie in 2011? I know you have a secret singing talent, too? Essince: Any finals shout outs? Where can people find you online? Chiney Marie: Yes, special shout outs and recognition to my business partner Adam T. Sweet and the rest of my amazing team. It's such a blessing to be able to meet people with talents and the same hunger and ambition as you and be able to successfully bring together a team of people to create something great!